November is Pet Cancer Awareness Month, and PetCure Oncology is dedicated to educating pet owners about cancer in dogs and cats. Pet cancer affects millions of families each year – about one in every four dogs and one in every five cats will develop cancer in their lifetime. In the past, a cancer diagnosis may have left pet parents with little or no hope, but PetCure Oncology is committed to changing this. 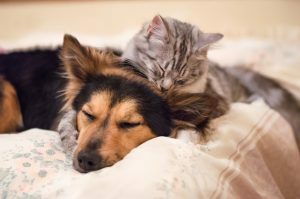 Today, you can take comfort in knowing that new therapies are revolutionizing the way we treat cancer in our dogs and cats. Furthermore, we have made life-saving cancer care more accessible through our national network of treatment centers. 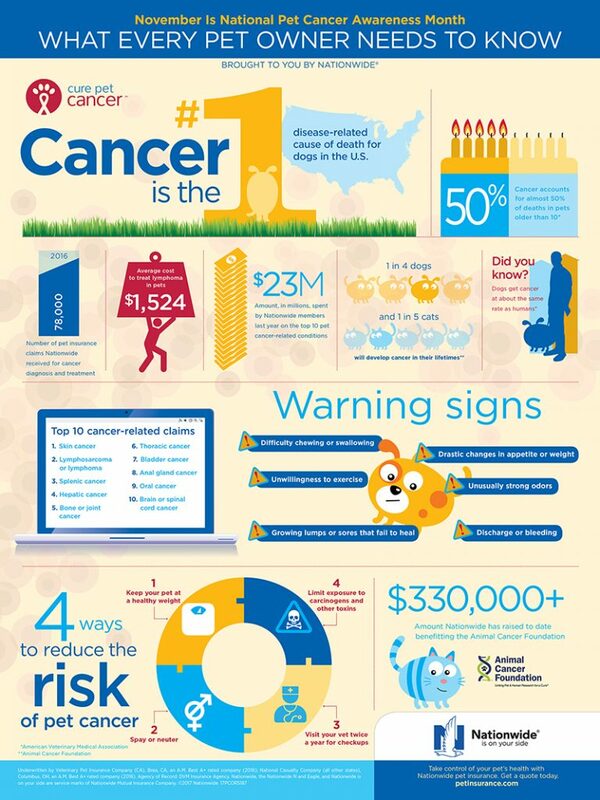 If you are just as passionate about saving pets’ lives as we are, join us in supporting Pet Cancer Awareness Month. Below are three easy ways you can help us spread the word about pet cancer and, more importantly, that there is hope for pets with cancer. Follow us on Facebook, Twitter, LinkedIn, and Pinterest to learn how we are revolutionizing pet cancer care, share our resources on pet cancer, and meet our Pet Heroes from across the country. Your post may save the life of a friend’s pet! Stereotactic radiation (SRS/SRT) is an advanced and noninvasive form of radiation therapy that has long been proven effective in treating humans with cancer. What sets SRS/SRT apart is its unprecedented precision, which now enables the treatment of certain tumors that were previously considered untreatable. Download and share our pet parent e-guide with friends and family with pets. This is a helpful resource about pet cancer types, treatments, and detailed information about SRS/SRT. Throughout November, Nationwide Pet Insurance will donate $5 for every pet cancer e-card sent and every social media post using #CurePetCancer2017. Use the hashtag to share your pet’s cancer story and help raise awareness of pet cancer and the advanced treatment options that are available today. Do you have a pet cancer story? Share with us on Facebook or tweet us @PetCureOnc and be sure to use #CurePetCancer2017.